OverviewEmbark on an adventure with characters from different walks of life, all destined to unite with you, to save the world. 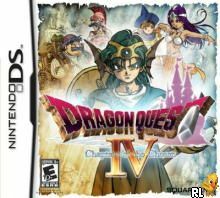 The fourth installment of Dragon Quest, this game gets a nice facelift from the NES area with many new features! No longer are you forced to endure an idiotic AI system once in chapter 5, you can now choose to control them! In some cases, the AI is still useful and its intelligence has been improved dramatically since the NES era. 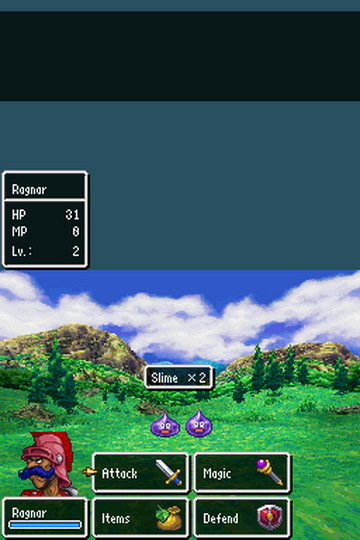 Also improved are the stats of the characters; Meena (also known as Nara in NES) has extremely pitiful HP in the past, but now has a more adequate amount now. Torneko (also known as Taloon) still does goof off sometimes, even when you command him, but in general he is still quite useful. 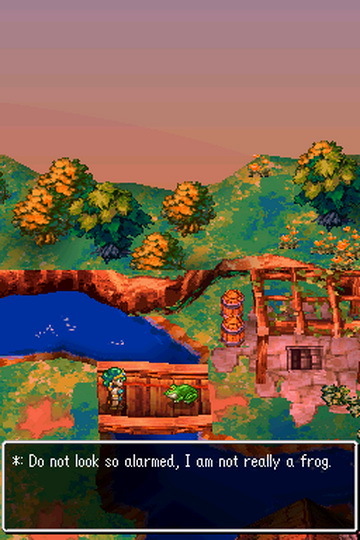 When you first play the game, instead of jumping right into Chapter 1, you get a small Prologue with your hero character to get used to the controls and world, as well as learn a bit of backstory. 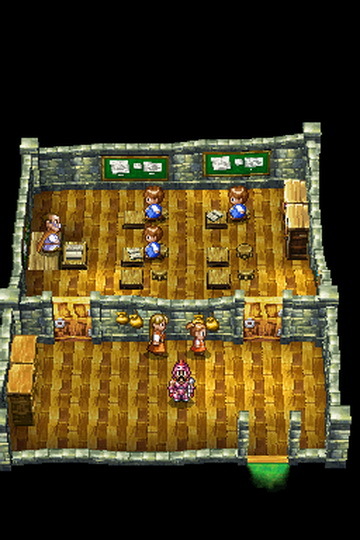 After the short interlude, the chapter system commences just like in the NES version. One bit of sad news, the USA release took out the partychat feature that was originally in the Japanese version. You no longer get a few hints or delightful commentary from your partymates, which is a shame since they are a colorful bunch. It is not like it was in the NES version to begin with, but it is rather disappointing to learn we were robbed of the experience. Another change that does bother some people is the accents. 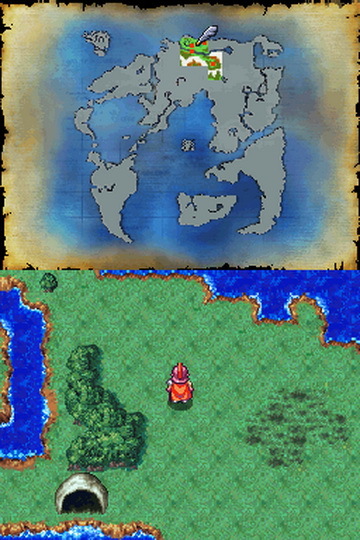 It was decided that each region of the game would have a certain dialect, and one of the hardest to understand is in the first chapter. Overall, it was a cute attempt but unnecessary to have. 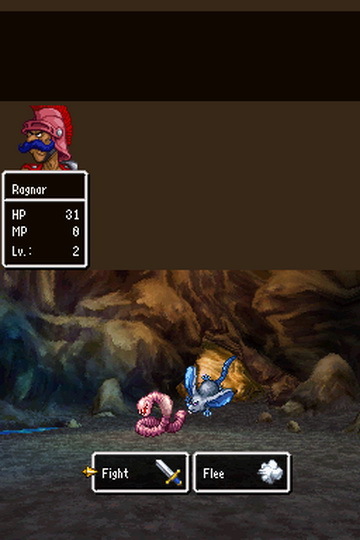 Unlike the NES version, you also get a special extra chapter given to you after you beat the game. I do not wish to spoil too much, but it gives another perspective on the storyline and a new partymate. Besides the accents and lack of partychat, the game does well on its own. 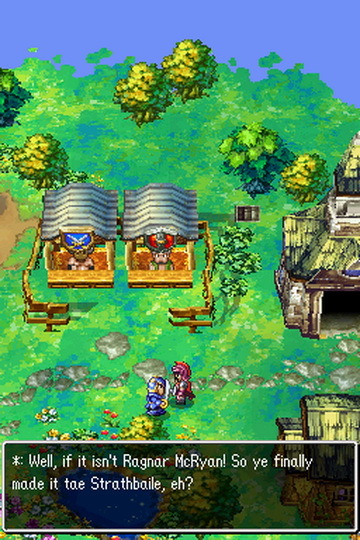 The difficulty has been curbed by a fair amount (until postgame) just like most of the remakes, but still does a great job presenting Dragon Quest 4 to the fullest. The Legends of Zenithia starts here! A prestigious army captain, an adventurous princess, a humble merchant, two sisters, and you, the hero. Dive into this unique adventure, and discover the grand tale told through the experiences and emotions of characters from all walks of life. 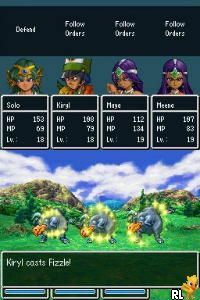 Dragon Quest: The Chapters of the Chosen takes a little while to get on the boil, but once it does you'll find yourself absorbed in a lengthy, enjoyable, balanced and accessible JRPG that is as welcoming to genre veterans as it is to complete newcomers. There's more than enough modern polish and sheen to justify bringing this former NES classic back for yet another outing. Now you can add videos, screenshots, or other images (cover scans, disc scans, etc.) for Dragon Quest IV - Chapters of the Chosen (U)(GUARDiAN) to Emuparadise. Do it now! If you haven't noticed yet, we have a retro game of the day feature (top-right of the screen) wherein we feature a new retro title every single day! Now, you can vote for your favorite games and allow them to have their moment of glory. 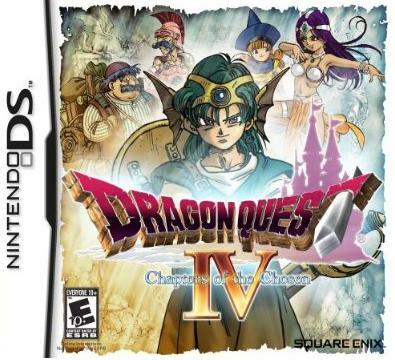 Click on the button below to nominate Dragon Quest IV - Chapters of the Chosen (U)(GUARDiAN) for Retro Game of the Day.